from Mike Cordoba, founding partner, Empresario Capital. Established brands have the benefit of a tried-and-tested formula, but as market needs and consumer demands change, brands, no matter how beloved, need to respond with flexibility. In 2010, RAMMP Hospitality Brands Inc acquired MR MIKES and re-branded as MR MIKES SteakhouseCasual. With a 50-year-plus history, MR MIKES was confronted with the challenge of revamping a heritage brand to appeal to new customers without neglecting its roots of being a casual and affordable steakhouse – core values they built their business upon. When you’ve acquired a new brand it may be tempting to make sweeping cosmetic changes. While a new coat of paint, updated logo and new menu offerings are great in theory, the changes need to reflect your company’s internal brand strategy. It’s not enough to change for change’s sake. Make sure you don’t diffuse your brand identity by trying to be all things to everyone. Trying to attract both kids and the happy hour crowd are vastly different segments. By knowing who your target audience is, it’ll be easier to tailor all your touch points to speak to them. MR MIKES SteakhouseCasual has chosen to grow their business in small booming towns and select cities across Western Canada, where the demographics match the core and loyal MR MIKES customers. By targeting men and women between ages 25 and 50 in growing areas, they are presenting new options to people looking for a place to relax and enjoy a social dining experience. While franchises share a brand identity, they don’t have to be cookie cutter. There are still opportunities to make the brand local to your market. MR MIKES SteakhouseCasual has a feature wall at the entrance of each restaurant that welcomes customers to their location. Be it adding a local beer to the menu or fundraising for a local charity, there are ways to bring a regional kick to what is a general business model. Staying social is more than being active on different social platforms. It’s important to remember that connecting to your customers on Facebook, Twitter, Instagram or LinkedIn is about having a conversation. No one wants to only hear about the Wednesday night wings promotions every week. Social media is a handy tool to also monitor what’s being said about you and your brand persona. “Be it a compliment or a complaint, we engage so we can jump in on the conversation to share a laugh or to ensure any issues are immediately addressed,” says Cordoba. Not everyone is savvy on social media. Give your franchisees clear social media guidelines and ensure they are familiar with the dos and don’ts of representing your brand in the social media space. 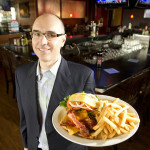 Mike Cordoba is one of four founding partners at Empresario Capital, with investments in the restaurant industry including the MR MIKES SteakhouseCasual franchise. He is a chartered accountant and graduate of Business from Simon Fraser University and is one of Canada’s top 40 Under 40 award winners. Cordoba has more than 20 years of hands-on operational experience in restaurants and retail, including 15 years in various senior roles including Executive Vice President of Finance, President and Chief Executive Officer. 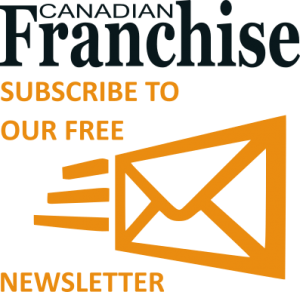 For more information on MR MIKES Steakhouse Casual Franchise Opportunities please contact: Rick Villalpando, Vice President Business Development 604.535.5002 www.Mrmikes.ca.